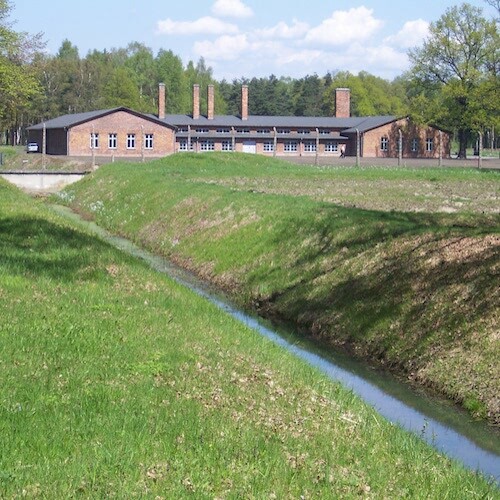 The Leuchter Report claims to prove that the gas chambers at Auschwitz-Birkenau did not exist. How do we know that this report is not scientifically sound? The Leuchter Report is junk science. Leuchter’s methods were flawed and his conclusions are false. Leuchter collected his samples in an uncontrolled manner and the type of analysis was not appropriate for producing accurate results. His conclusions are not supported by evidence, including all of the following conclusions: that there were no provisions for gasketed air-tight doors, windows, or vents; that there was no ventilation; that the Nazis themselves would have died from exposure to the Zyklon-B; and that there were only “insignificant traces” of Zyklon-B. What is the Leuchter Report? In 1988, Ernst Zündel, a German-Canadian Holocaust denier, was put on trial in Canada for “spreading false news.” As part of his defense, Zündel commissioned a self-appointed specialist on execution chambers, Fred Leuchter, to conduct a forensic examination of the gas chambers in Auschwitz-Birkenau and other camps. Zündel submitted the Leuchter Report as evidence in this trial and wanted Fred Leuchter to be a witness for his defense. However, when Leuchter was questioned by the court about his credentials as an expert witness, it was discovered that he wasn’t licensed as an engineer. Leuchter’s degree was in the humanities and he had no expertise in chemistry, toxicology, or cremation—all specialized subjects he addressed in the Leuchter Report. The court, therefore, refused to enter the Leuchter Report as evidence and did not accept Leuchter as an expert witness. The Leuchter Report was published in 1989. It quickly became a cornerstone of Holocaust denial and remains so today. Leuchter collected 31 fist-sized samples of bricks and mortar from the cremas/gas chambers and one control sample from the delousing building in Birkenau. The Nazis regularly used the delousing building in order to delouse clothing or bedding and combat typhus in the camp. Leuchter collected the samples in a covert, random, and undocumented manner. There is no way of knowing whether the mortar and bricks that Leuchter sampled had actually come from anywhere near the gas chamber rooms. Leuchter’s sampling methods can be seen in the Errol Morris’ film Mr. Death: The Rise and Fall of Fred Leuchter, Jr. In this film, Leuchter can be seen digging big chunks of brick and concrete randomly out of the walls, floors, and ceiling. At one point he even collected chunks of brick and concrete from a puddle of melted snow on the floor of what he claims was a gas chamber. It was not a gas chamber but was actually from the cremation oven area. Each fist-sized chunk of brick or concrete was ground up into powder for analysis. This presents another problem. Any minute trace of the HCN residue that might have been present became an even more minuscule part of the larger samples. A more appropriate method would have tested only the surfaces of the samples. However, the lab was not informed what these samples were being analyzed for. Thus, the lab subjected the entire sample to analysis. It is clear that the methodology of the Leuchter Report was flawed from the start. Leuchter’s sample collection was not controlled and the method of analysis was entirely unable to produce accurate results. Repeated HCN exposure leaves a blue chemical residue on surfaces called “Prussian Blue.” However, the walls and ceiling of the gas chambers were plastered. The Prussian Blue would have collected on the surface of the plaster and would not have left a substantial presence on the bricks, mortar, or concrete underneath. By the time Leuchter arrived at Auschwitz-Birkenau to take his samples, the plaster was long gone due to age and exposure. Even the brick underneath the plaster had been exposed to 43 years of rain, sun, ice, and snow. There are historical reasons why finding significant amounts of HCN was highly unlikely. According to the account of Josef Sackar, a member of one of the Sonderkommandos who worked in the gas chambers: “After every killing, we washed everything and sprayed it with a substance so that the odor of the gas would not remain. We also washed the floor of the chamber.” With this type of procedure in place, the plaster of the gas chambers would be far less likely to contain significant amounts of HCN. Leuchter’s conclusion, that the present-day remains of the gas chambers have an “absence of any consequential readings” of HCN, proves nothing about the historic use of the rooms as the gas chambers. Again, this finding is not surprising. First, Leuchter inaccurately calculated that it required 3,200 parts per million (ppm) of Zyklon-B to kill a human being. In reality, it requires only a maximum of 300 ppm. However, to kill lice, beetles, etc. requires at least 16,600 ppm of HCN. Therefore, it is understandable that the walls of the delousing chamber show significantly higher amounts of HCN residue. The delousing chamber held clothing and bedding that were regularly subjected to several days of concentrated Zyklon-B soaking. Likewise, contrary to the element-weathered gas chambers, the delousing building is still standing. Therefore, the interior plaster walls still have the “Prussian Blue” residue and have been protected from the elements. It is completely reasonable that the walls and floors of the delousing building still contain significant quantities of HCN residue. The Auschwitz-Birkenau State Museum archives—which Leuchter did not visit—show proof that contradicts Leuchter’s assertion. For example, a letter from Karl Bischoff, the head architect at Auschwitz-Birkenau, to the German Armament Works (dated March 31, 1943) orders “three gas tight doors” for Crema/Gas Chamber 3. Bischoff requests that these doors follow “exactly the size and construction of those already delivered” for Crema/Gas Chamber 2. Bischoff also reminded the manufacturer that the doors had to have a spy-hole of double 8-mm glass. This spy-hole must be equipped “with a rubber seal and metal fitting.” The order was characterized as “very urgent.” Similarly, in the archives there is also a documented request for a “handle for the gastight door” (Order No. 162, 6 March 1943). There are also photographs of the actual gas-tight doors that were found at Auschwitz-Birkenau after the war. From the photographs, one can see that the doors had a peep-hole covered with a heavy mesh screen and a gas-tight seal around the edge. This is exactly as Bischoff requested in his letter. Despite Leuchter’s claims, there is documentary and photographic evidence of these gas-tight doors. Leuchter’s conclusion, that there was no ventilation in Cremas/Gas Chambers 2 and 3, is incorrect. The Nazis’ own plans and eyewitness testimony prove otherwise. Despite Leuchter’s claim, that those who administered the Zyklon-B would have died as well, testimony suggests that they wore gas masks when going about their deadly work. Central Sauna Auschwitz-Birkenau. By Konrad Kurzacz Pimke, e-mail: konrad.kurzacz@gmail.com (own work) [GFDL (http://www.gnu.org/copyleft/fdl.html)], CC-BY-SA-3.0 or CC BY-SA 2.5-2.0-1.0], via Wikimedia Commons. The Leuchter Report is junk science and its conclusions are incorrect. For many of his findings, such as the amount of HCN residue, they prove nothing and can be easily explained. As shown, Leuchter’s methods were also flawed. Against his asserts, there is photographic, documentary, and physical evidence. For instance, documents show that gas-tight doors and fittings were ordered, constructed, and used. Eyewitness testimony and Nazi blueprints show that ventilation systems were installed in Cremas/Gas Chambers 2 and 3. One can see Holocaust denier David Irving’s opinion on the Leuchter Report at “David Irving: Introduction to The Leuchter Report,” http://www.fpp.co.uk/Auschwitz/Leuchter/ReportIntro.html. You can see how Leuchter collected his samples in Mr. Death: The Rise & Fall of Fred A. Leuchter Jr., a film by Errol Morris (2000). Fred Leuchter, The Leuchter Report (“Conclusion”) at http://www.ihr.org/books/leuchter/conclusion.html. Errol Morris, Mr. Death: “The Rise and Fall of Fred Leuchter, Jr.” at approximately 54 minutes. Josef Sackar in Gideon Grief’s, We Wept Without Tears: Testimonies of the Jewish Sonderkommando from Auschwitz (Yale University Press, 2005), p. 111. See the table “Compiled Data from Certificates of Analysis,” Alpha Analytical Laboratories, Ashland, Massachusetts at http://www.ihr.org/books/leuchter/appendix01.html. The de-lousing chamber sample was 880386.32 and showed a trace amount of 1,050. The rest are nominal or non-detectable in comparison. Fred Leuchter, The Leuchter Report (“Design Criteria for a Fumigation Facility”) at http://www.ihr.org/books/leuchter/criteria.html. Robert Jan van Pelt, The Van Pelt Report (“IX The Leuchter Report”) at https://www.hdot.org. You may see images of the delousing building at http://www.scrapbookpages.com/AuschwitzScrapbook/Photos/Gallery10/index.html. By contrast the building that Leuchter chipped his chunks of mortar and concrete out of look like this: http://www.scrapbookpages.com/AuschwitzScrapbook/Photos/Gallery7/index.html. Fred Leuchter, The Leuchter Report (“Design and Procedures at the Alleged Execution Gas Chambers”) at http://www.ihr.org/books/leuchter/procedures.html. Letter from Karl Bischoff to the German Armament Works, March 3, 1943 from the archives of the Auschwitz-Birkenau State Museum as cited in Robert Jan van Pelt, The Van Pelt Report (“VI Blueprints of Genocide”) at at https://www.hdot.org. Eugen Kogon, Hermann Langbein and Adalbert Rückerl, editors. Nazi Mass Murder: A Documentary History of the Use of Poison Gas (Yale University Press, 1994), p. 158. Robert Jan van Pelt, The Case for Auschwitz: Evidence from the Irving Trial (Indiana University Press, 2002), p. 192. Fred Leuchter, The Leuchter Report (“Design and Procedures at the Alleged Execution Gas Chambers”). You may see an image of the ventilation ducts in Crema/Gas Chamber 2 in Robert Jan van Pelt, The Case for Auschwitz: Evidence from the Irving Trial (Indiana University Press, 2002), p. 367. Saul Chazan as cited in Gideon Greif’s, We Wept Without Tears: Testimonies of the Jewish Sonderdommando From Auschwitz (Yale University Press, 2005), pp. 271-272. Filip Müller, Eyewitness Auschwitz: Three Years in the Gas Chambers (Ivan R. Dee, 1979), p. 38.